Today, new Sony artist Brandon Ratcliff sets out on Kelsea Ballerini ‘s Miss Me More Tour with Brett Young . 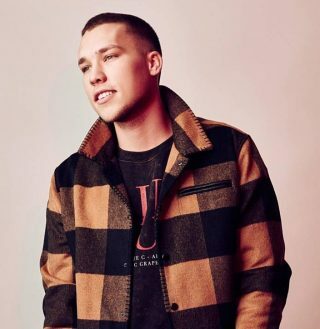 It’s the first major outing for the Louisiana native, who just released his debut single,“Rules of Breaking Up.” “Oh man, I mean when I got the call that Kelsea and Brett wanted me on the tour, I — as you can imagine — was freaking out,” Brandon tells ABC Radio. “I mean, we didn’t have a song out at the time.” Read the full story HERE! Singer-songwriter Brandon Ratcliff releases his debut track, “Rules of Breaking Up” on Monument Records. The release of the new song coincides with the announcement he will be supporting the Kelsea Ballerini & Brett Young Miss Me More Tour, which kicks off on April 11th, 2019. Read the full story HERE.